Cypriot President Nicos Anastasiades threatened to resign Sunday during emergency talks in Brussels, media reported, saying conditions demanded to secure an international bailout were not viable and would lead to the country's collapse, DPA reported. "I make you one proposal - you say no. I propose you another proposal and you say no - what more do you want? Do you want me to resign? Then just say it," state broadcaster RIK quoted Anastasiades as saying. 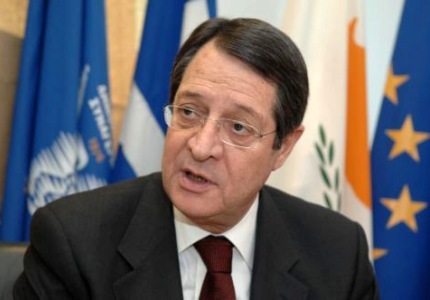 Anastasiades reportedly said there was "no way" he would accept IMF demands that the Bank of Cyprus absorb 9 billion euros (11.7 billion dollars) of debt from Laiki bank, "because it would lead to the country's collapse." In Brussels, meanwhile, emergency talks by eurozone finance ministers were delayed further - with their start not expected before 9 pm (2000 GMT) - as the negotiations between Anastasiades and top European and IMF officials dragged on.